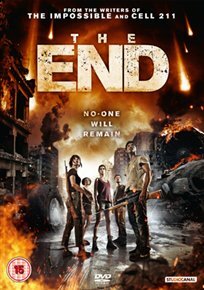 A planned reunion for a group of old friends is turned on its head in this apocalyptic Spanish thriller directed by Jorge Torregrossa. Reuniting at the request of ‘The Prophet’ (Eugenio Mira), who they all played a nasty trick on years previously, Félix (Daniel Grao) and Eva (Clara Lago) set off to join up with their long lost friends at a mountain cabin in the woods. But as they wait for their mysterious host to arrive, the group witness something strange falling from the sky. Setting out to investigate, they discover that, not only are their mobile phones not working, but there appears to be no electricity and no signs of human life. As they finally face the unsettling conclusion that they are all alone, the stranded group realise they must strike out to find a future, all the while hounded at every turn by the now predatory wildlife.